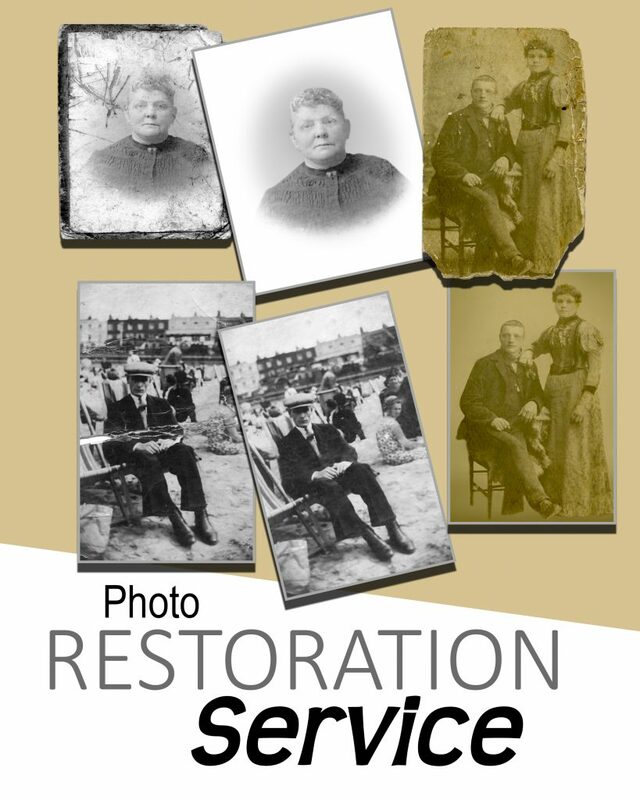 From a simple reproduction to a complicated and detailed repair, our professional digital team can bring your treasured photographs back to life. From minor scratches to total rips, we can digitally fix even the most damaged photos and print them for you at the size you require. Whether or not you'd like it smaller, same size or enlarged, we can cater for all needs. Every job has a different level of complexity and each job is individually priced. This is discussed and agreed prior to any work being carried-out for total peace of mind. We offer 100% satisfaction guarantee and, as not every restoration is possible or worthy of the cost, we will discuss this with you before you place any order. You will not beleive the magic that can be done! As well as offering any size of print, we also offer a number of different types of media to print onto - from professional photographic papers to canvas and museum-grade art papers. High volume scanning of negatives and slides are priced per hundred and benefit from a hugely discounted price. Please contact us for details.